Asthma is a condition many people battle with daily that affects the airways in the lungs. Asthmatics breathing passages are more sensitive than a non-sufferer and can be triggered by many different things. 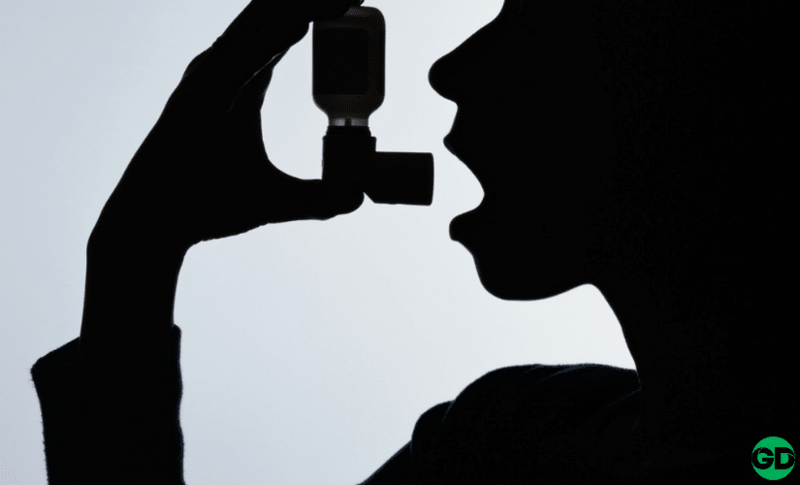 Once asthma strikes, muscles around the airways contract. This makes the passages tighter and narrower, restricting the flow of oxygen to the lungs. Sometimes inflammation can also occur, resulting in a build-up of sputum and making the airways even narrower. Unfortunately, as a long-term disease, asthma cannot be cured with a short cycle of medication. Many people manage their ongoing issue with medication, lifestyle changes, and monitoring their environment. All of the above can impact an asthmatics ability to breathe easily. However, when somebody is diagnosed and receives the correct medication, they can usually lead a very normal life. Many of us probably know a person living with asthma who can do just as much work and exercise as everybody else, if not even more. Unfortunately, when the above symptoms suddenly worsen, it is referred to as an asthma attack. Another key indicator of an attack could be that a person’s blue reliever, also known as an inhaler, does not seem to be working. Children may even say they feel a pain in their chest or tummy. According to the NHS, asthma attacks happen every 10 seconds on average in the UK, and three people die every day. However, if a person is receiving the correct treatment, the chances of suffering from an attack are significantly lowered. Then, if an asthmatic is able to keep away from the things that kickstart their symptoms, the chances become even less likely. Both adults and children can suffer from asthma. Just like many other diseases, the condition can still be contracted later in life. Medical professionals believe the condition stems from either a genetic predisposition or a person’s general environment. For adults, it is an environment that plays a larger role in the likelihood of contracting the condition. If somebody works in a space where he or she repeatedly breathe in irritable chemicals or dust, asthma is more likely to become an issue. Workplaces such as bakeries, building sites, or car-spraying workshops often have air thick with alien substances. Employees are therefore likely to breathe this unclean air and cause a reaction inside the airways. Contracting asthma in this way is known as non-allergenic. Youngsters, on the other hand, are more likely to suffer from associated with allergic reaction. This is why it’s very common for asthma to run in the family as they say. For parents who have a history of the disease, it is important to create a safe environment for their children. Also, it is extremely advised parents take their children to be checked by a family GP. Triggers are not always the same for every person. One person may only suffer slight discomfort in cold weather or just after exercise. Yet, another individual may have very specific triggers that cause a severe reaction, such as animal fur or house dust. Asthmatics may not have to avoid these triggers entirely. For example, a person who suffers from exercise-induced asthma may still enjoy running in an evening or cycling to work. So long as they have their reliever on hand, symptoms can be well managed and keep the person safe from an attack. Asthmatics can assess the effect asthma is having on their body quite easily with a machine known as a peak flow meter. Fortunately, this equipment is available to buy for asthmatics to use at home. A small hand-held plastic model can also be carried easily, so it can be used at any time. Alternatively, people can simply visit their local GP. Whilst there, a doctor may also be able to carry out an x-ray. This could detect and outline any other conditions affecting the lungs. Once a person is diagnosed with asthma they will typically be given a suitable treatment. As everybody’s experience with the disease is different, not everybody receives the same medication. The most common kind is known as an inhaler, also known as a puffer or reliever. Inhalers are small devices that dispense a measured dose of medication into the airways and lungs. Preventer inhalers control inflammation and are the most common kind prescribed by GPs. However, once symptoms start, a reliever inhaler may need to be used. Relievers contain short-acting beta agonists, also known as SABAs, that relax the muscles surrounding the airways. Once the medication begins to take effect, the airways widen and make it easier for the individual to breathe. Other treatments include the likes of tablets and an injection administered by a doctor. Both of these are designed to reduce inflammation but are not as common as inhalers. Plus, on top of prescribed medication, GPs may also advise lifestyle changes. Controlling the household environment and keeping it free from damp and dust can have a great impact. Regular cleaning, dusting and making the most of a dehumidifier are all easy ways of creating a safer low-risk home. Read: What to Consider When Buying Dehumidifiers? Read: Looking for the Best Dehumidifiers for Your House? Read On! Healthy eating with highly nutritious food can also have an effect on reducing the risk of raised symptoms. For asthmatics who are overweight, healthy eating can go a long way in improving their overall wellbeing. By losing weight over time through a nutritious diet, regular breathing may become much easier. As long as you looking after your asthma, you can enjoy any type of exercise. Exercise is for those who have asthma, by providing lungs with a workout which will lower the risk of asthma symptoms. Helping hit weight loss targets, which helps to reduce the risk of symptoms of an asthma attack. If you are concerned you or someone you may know is suffering from asthma seek professional help. Asthma affects people of all ages throughout Great Britain and if caught early can be managed easily. However, if left undetected or untreated, the results can be fatal. Every day people die of asthma attacks in the UK that could have otherwise been prevented. There are also many resources online available to help you learn more about asthma, as well as how to detect it’s symptoms.